How pretty this nail polish looks? Pastel blue or baby blue is a trend colour for this Springtime and lots of brands are coming out with their version of the colour. Pastels nails are one of my favourite nail trend, they look so clean and lovely, making your hands look so polished. I picked this L'Oreal Color Riche nail lacquer, from Les Blancs Collection, called Ocean Porcelaine. 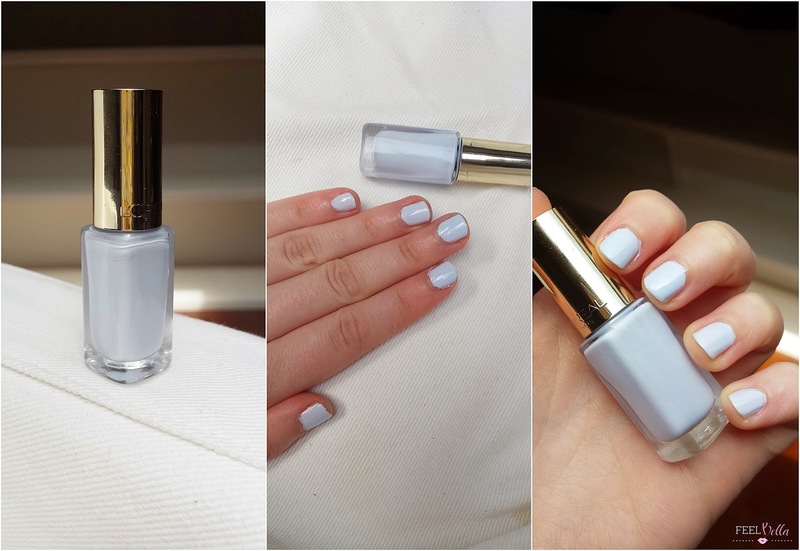 This nail polish is a white-based colour with a lovely pale blue colour. The formula of these is pretty good. It gives a lovely and shiny finish with simple one stroke. Have you got your baby blue nail polish for this season? 4 comments on "SPRING NAILS: BABY BLUE"
This is so pretty! Wow. The perfect baby blue!